A great number of high- end devices were launched in the last couple of years. We now have incredibly powerful smartphones, laptops, and gadgets. And tablets, of course. Microsoft’s Surface Pro 4 and Apple’s iPad Pro were two of the most anticipated and awaited tablets that were unveiled in 2015. The Surface Pro 4 was released at the beginning of October 2015 while the iPad Pro was launched one month later. Curiously enough, neither Apple nor Microsoft released a successor for these gadgets ever since then. It’s true that Apple launched a smaller version of the iPad Pro in the spring, the 9.7-inch tablet, but this still can’t be called a successor to last year’s iPad Pro. 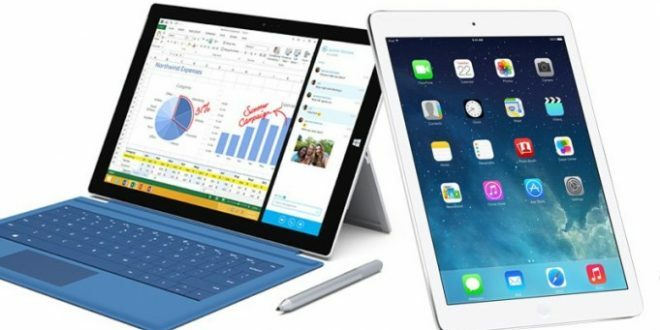 Thankfully, both the Surface Pro 4 and the iPad Pro have great specs and features. This, however, doesn’t mean that they are perfect. They both have their pros and cons, so it’s not that easy to decide which of them is the better device. 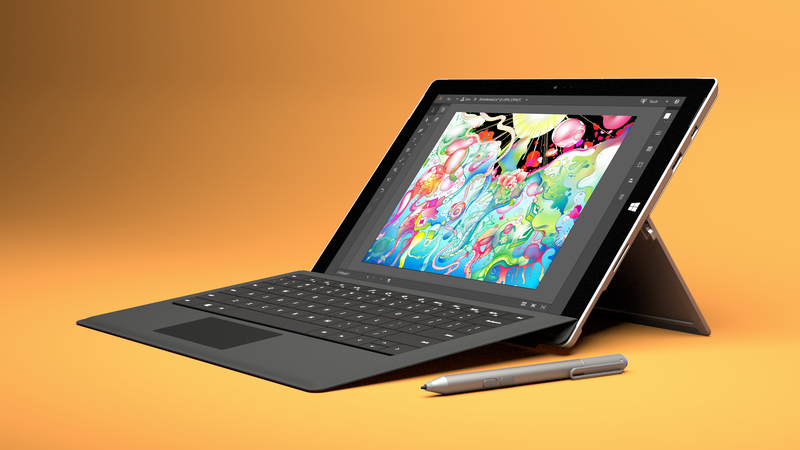 The Surface Pro 4 is the big brother of the Surface Pro 3. Although design- wise there are no notable differences between the two Surface devices, under the hood, there are a few new things going on. It is true that the Surface Pro 4 is slimmer and lighter than its predecessor, but the base of the design remained the same. And this is not a bad thing at all because the Surface Pro 3 also looked great. After taking a careful look users will notice that the bezels around the display are also thinner on the Surface Pro 4, so the screen is bigger, although it is the same size (length and width) than the one featured by the Surface Pro 3. 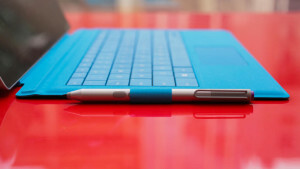 The Surface Pro 4 features the same clean edges as its predecessor with slightly rounded corners. It has a 12.3- inches PixelSense multi-touch display. It comes with 2736 x 1824 resolution and 267 ppi pixel density. The display of the Surface Pro 4 has extremely high contrast and low glare which combined, result in a crisp image that resembles real life. The Surface Pro 4 is made of magnesium alloy. This confers the durability and the premium feel of the device. It is only 8.45mm (0.33in) thick, which is quite impressive, given the power it houses. Its measurements are similar to those of a sheet of paper, this is why Microsoft said, when they released the product, that it will give the same impression as writing on paper. The lightest version of the Surface Pro 4 weighs 766 grams (1.69lbs). The other versions weigh 20 grams more. A keyboard can be attached to the Surface Pro 4 by a triple hinge magnet. This will be a pretty solid connection so the Surface Pro 4 will actually turn into a laptop when the keyboard is attached. The Surface Pro 4 can also be used with a kickstand. As far as the hardware goes, the Surface Pro 4 is available with three different processors. Customers can choose between sixth generation Intel Core M, i5, and i7 processors. Another feature that customers are able to choose themselves is the RAM memory of the Surface Pro 4. It can be purchased in 4 GB, 8 GB, and 16 GB versions. Internal storage can also be chosen by the users. It starts with 128 GB and goes up to 1 TB. This is quite impressive for a tablet. The Core i7 version of the Surface’s processor runs at a minimum speed of 2.7GHz. As for the ports, the Surface Pro 4 is equipped with a full-size USB 3.0, a microSD card reader and a Mini DisplayPort. The Surface Pro 4 has a 8 MP back camera with 1080p HD video recording alongside a 5MP front facing camera. The battery of the Surface Pro 4 offers up to 6 hours and 5 minutes of usage on a single charge. The Surface Pro 4 also comes with a Surface Pen that can be clipped directly onto the device by magnets. The Surface Pen comes with a digital eraser and is able to directly launch applications in Windows 10. It also has interchangeable heads which will make some people’s work a lot easier. Instead of changing the settings, users will be able to simply change the head of the Surface Pen. Microsoft’s Type Cover was also improved compared to the previous version. It comes in five different colors which match the Pen’s color, it has faster-traveling keys, backlighting and a 40% larger trackpad. Another new feature of the Type Cover consists of the fingerprint sensor that is meant to improve the security features of the Surface Pro 4. The Surface Pro 4 runs on Windows 10, so it will offer its users a PC experience instead of a mobile one. This feature makes the Surface Pro 4 to be more like a laptop than a tablet. The price of the Surface Pro 4 starts at $899.00 and goes up to $2,199.00. The iPad Pro was announced in September 2015 and released in November last year. Both the 12.9-inch and the 9.7-inch iPad Pro have the same rounded edges their predecessors had but the latest iPad Pros have a certain elegance that is more appealing than it was with the other devices. It is incredibly thin, and light. Although it is bigger than the Surface Pro 4 it is both thinner and lighter than the Microsoft laplet. The iPad with the 12.9- inches Retina display with 2732 x 2048 resolution at 264ppi pixel density. The 9.7-inch tablet offers a slightly lower, 2048 x 1536 pixels resolution, but given its smaller size, this translates into a pixel density which is equal to the one offered by the larger model. The iPad comes with a fingerprint-resistant oleophobic coating, fully laminated display and anti-reflective coating. It has an incredibly clear image, there is no bad thing to say about its display, that is certain. The body of the iPad Pro is made of aluminum. This makes the gadget a pretty durable and strong device. It comes in three different colors: silver, gold and space gray. It is only 6.9mm (0.27 inches) wide and is extraordinarily easy weighing only 712 grams (1.57lbs) with the keyboard. Just like the Surface Pro 4, the iPad Pro also supports a stylus and a keyboard can be attached to it. These are the Apple Pencil and the Smart Keyboard, but we will take a closer look at them a little later. 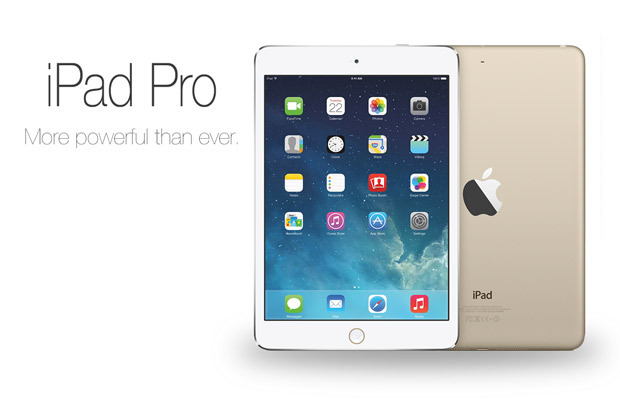 The iPad Pro is powered by an A9X processor which should run at a max clock speed of 2.25GHz. 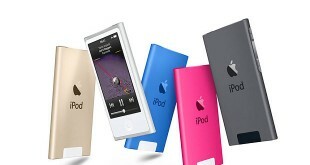 It comes in two storage versions: a 32 GB and a 128 GB version. This is a lot less than the internal storage the Surface Pro 4 has to offer. 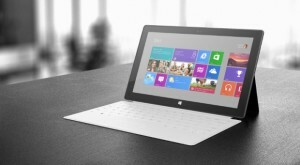 The Microsoft device starts at 128 GB and goes up to 1 TB. The iPad Pro features only the Smart Connector, there is no USB, nor full size, nor micro. It doesn’t have a card reader. Although the Smart Connector is quite versatile, it might not be everyone’s cup of tea not to have a traditional port on their tablet/ laplet. Just like the Surface Pro 4, the iPad Pro has a 8 MP back camera. The FaceTime camera is smaller, it only has a 1.2 MP sensor. The back camera has an iSight sensor and is able to record 1080p video. The front facing camera is able to record 720p HD video and offers backside illumination. The battery of the iPad Pro is a built-in 38.5-watt-hour rechargeable lithium-polymer battery. it’s able to ensure up to 10 hours of surﬁng the web on Wi‑Fi, watching videos, or listening to music. The stylus of the Apple iPad Pro is called Apple Pencil. It remains charged for an hour and can be repowered via the Lightning cable that connects directly to the tablet. Even so, it is not as versatile as the Surface Pen and it doesn’t offer all the features the Surface Pen does. Using incredibly fine‑tuned pressure and tilt sensors, Apple Pencil instantly recognizes when you are pressing harder or shifting its angle. The keyboard, the Smart Keyboard, as it is called, has all the utility of an ordinary full‑size keyboard. It is formed from a single sheet of custom‑woven fabric that has been laser ablated to precisely form each key. This is said to ensure a satisfyingly responsive, accurate, and natural feel. The Surface Pro 4 has an advantage in this area too. While the Surface Pro 4 keyboard comes in several colors, the Smart Keyboard is only available in a single color. So users can’t really choose how to personalize their device. The Apple iPad Pro runs on the iOS 9. It offers its users the chance to install a great number of apps. It already comes preinstalled with some of these apps. STORAGE: – 32GB, 128 GB. The price of the iPad Pro starts at $799 and goes up to $1079 for the Wi- Fi and cellular version. The competition between the Surface Pro 4 and the iPad Pro in both its variants is an ongoing one, that is quite hard to settle. Both tablets have their strong points and weak points. To be fair, they are not really the same thing. Even though they are both tablets, they were most likely created with different niches in mind. The Surface Pro 4 is definitely the go to device when it comes to work. It has a more efficient keyboard that allows fast and precise input, a good screen and the Windows 10 operating system, which is great for completing office tasks. The iPad Pro, however, is better when it comes to creating. The Surface Pen might be a useful accessory, but the Apple Pencil is even better, according to the majority of people. It offers a more natural feel, allowing users to forget they are actually using a gadget instead of a real pencil on paper. The sound of the iPad Pro is also greater than the one produced by the Surface Pro 4, which makes it a better choice when we consider streaming music or videos. It is also more suitable for playing games, offering a more immersive sound, which will take the gamers in the midst of the action. 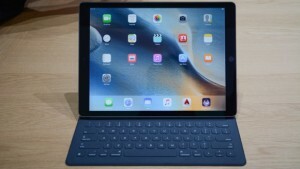 The iPad Pro ensures a longer battery life also, which is another advantage for the iPad Pro. As it was said earlier, we are comparing apples with oranges a little bit here. Apples with Microsofts actually, but you get the idea. The iPad Pro is definitely the winner gadget if people need it especially for streaming videos, music, creative work or playing games. On the other hand, for those who need a tablet that comes really close to offering all the benefits of a laptop, the Microsoft Surface Pro 4 is the obvious choice to make. In case you need the tablet both for work and for fun, the Apple device would be the logical choice. The operating system may not be what people are used to working on on a daily basis, but even on the iOS, tasks can be completed. After finishing work, users can enjoy the rest of the day or night watching a great movie or playing their favorite game on a device that has a truly gorgeous display and offers a great audio experience at the same time. Previous Overwatch: Origins Edition Code Giveaway Contest – Open!